This article originally appeared in http://www.seaindia.in. 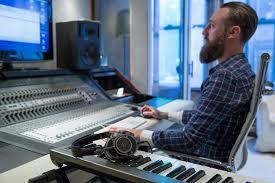 Sound engineering software isn’t as difficult to access or shouldn’t be an impediment to producing good music. Newbie Sound Engineers, Sound Enthusiasts and those who are in the look out for Audio Editors / Digital Audio Workstations for producing podcasts or for creating highly sophisticated sound recordings seems to be eager to posses the pirated versions of premium audio editing tools when one of these open source apps can suit their needs. Why go for pirated versions when you have various open source tools which offers the power and options you might expect only in costly, proprietary software. In fact 80% of those who install pirated versions of premium software in their system is not at all aware of the various options, filters, plugins etc available with the application or don’t use all the features incorporated with it. They simply perform their jobs with the basic options. For those who want to perform some basic audio editing job there are various open source tools available in the market. Moreover after using the open source tools if you feel that you are not getting quality output and need to have much more features then you can definitely switch to the premium tools. With the tools which are mentioned below you can add audio to your business website, create and edit a podcast to help promote your service or product, record and submit audio for radio ads etc. Isn’t it more than enough for a newbie engineers, home studio owners and for small business owners. To be frank, Open source audio tools are not an alternative to premium audio tools but they can complement the basic needs of a Sound Engineer and definitely a boon to those who can’t afford to buy costly ones. Here are the list of 5 tools which you can have a look at. Professional sound engineers might be au fait with the pros and cons of the software listed below but the will be helpful for the layman as well as those who are new to the audio industry. The free multitrack audio editor Audacity provides functions for the recording and editing of music and language in the audio formats MP3, OGG and WAV. You upload the audio files in Audacity and prune, improve or arrange your songs. With Audacity, you record music at the line-in-channel of the sound card, play sounds, and import or export audio data into various formats. Operations such as cut, copy, and paste are equally possible with Audacity, such as mixing and adding special sound effects (echo, speed changes, etc.). For the removal of background noise, Audacity is a suitable tool. You can use “Effect / Noise Removal” to edit background noise. In addition Audacity can import audio files with “Project / Audio” and integrate into the currently open file. In total, Audacity supplies almost 30 filters free, more can be added. Audacity has among other things a tool, the amplitudes easy to change and an adjustable frequency analysis tool. An Audacity editor for ID3 tags, as well as overlay functions are available as well as an automatic minimization of noise or crackling. Audacity can be installed and operated in major operating systems like Linux, Windows, and Mac. Ardour is a hard disk recorder and an audio workstation program. Originally a ProTools clone, it has emancipated itself in features and operating concept. It offers audio tracks in unlimited numbers, combined with JACK powerful routing functions, sophisticated mixing, full automation, undo and redo even after the program has been stopped and rebooted, support for various professional audio formats (including Wav64, broadcast, etc.) Crossfades and many more. Each processing step is non-destructive, even cutting and deleting individual sections of audio recordings can be easily undone. All actions in the mixer and in effect plugins are done in real time. So you hear immediately what happens when you move a knob. The best way to experience Ardour is by downloading and installing Ubuntu Studio or installing on OS X.
Ardour has a number of its own audio effects, and also supports the native Linux plugins in the formats LV2 and LADSPA. These plugins can be inserted into individual mixer tracks and / or into the master channel. Effects can also be applied semi-destructively. Another open source tool named Traverso DAW has emerged itself from a simple audio editor into a fully-fledged multi-track recording and mastering tool. The recording software can record, edit, mix, master and burn audio tracks in any number. Even if the user interface of the software is rather simple, the functionality and usability of the Multi-track audio recorder is highly impressive. This freeware offers audio recording and editing including a long list of effect plugins and the burning of finished tracks on CD. Traverso imports sounds from WAV or FLAC files and records different soundtracks via microphone. Tracks can be arranged non-linearly on the timelines. The user can insert crossfades, cut tracks and determine the recording level of the individual tracks. Traverso is available only for Linux. QTractor is finally retired its 8 track version and this sequencer is fully equipped to comfortably mix tomorrow’s smash hits. In the last few years, new features has been added, focusing on the needs of purely electronic music production. The software is versatile added with intuitive tools and built-in sound generators to make the job fun. QTractor is being programmed to satisfy all the basic sound editing functions like drag, move, drop, cut, copy, paste, paste-repeat, delete, split, and merge. It offers unlimited undo/redo, has a built-in patch bay, and much more. QTractor is available only for Linux. Linux MultiMedia Studio (LMMS) is a free and platform-independent music studio. The program is an interesting freeware alternative to well-known commercial DAWs like FL Studio, Cubase or Logic Pro. It combines the functions of tracker / sequencer programs (pattern, sample, song and effect management) with software synthesizers and samplers in a comparatively simple graphical interface. With Linux Multimedia Studio you can compose entire songs without plugging in a single instrument. Just drag and drop an instrument plug-in to the song editor and you’re good to go. LMMS contains a whole series of synthesizers, samplers and effects (such as equalizers, compressors, and simulations of tube amplifiers). Other plugins can be added via a VST or LADSPA interface. The virtual music studio already contains a large library of pre-made sounds and samples. In addition, MIDI files can be imported and exported. A melody can be played over a keyboard with a MIDI connection or via the computer keyboard. Various editors, arranged in the main window, can be used to edit individual song tracks, automate parameters, or adjust instrument and / or effect settings. However, the program does not provide any audio tracks that could be used to directly record external instruments. Download, Install the best open source tool that suits your needs and start working on your audio projects.